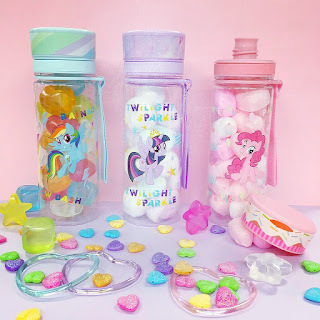 Incidentally two Japanese retailers both launched their own lines of My Little Products this month. Even more of a coincedence: they both launch heart-shaped keychains! 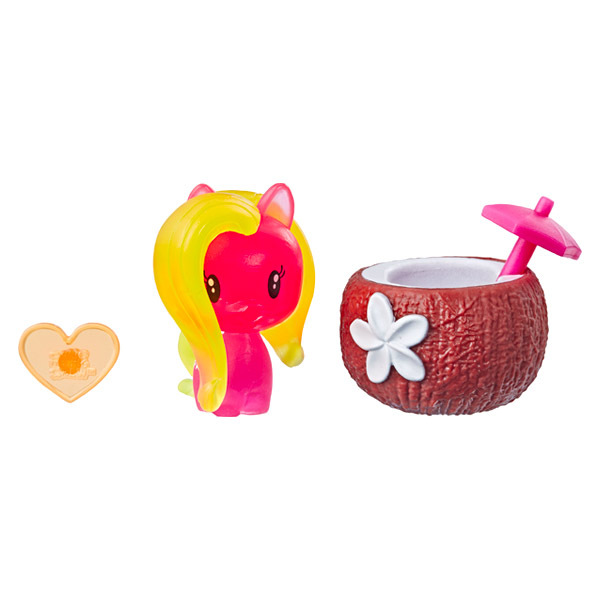 This weekend will be a very busy day for us as it's Toy Fair time! But just before the opening a website called comicbook.com has revealed some upcoming figures! 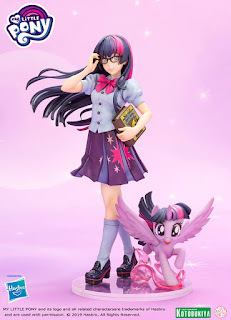 Kotobukiya has revealed the finished Twilight Sparkle Statue on their Facebook page today! 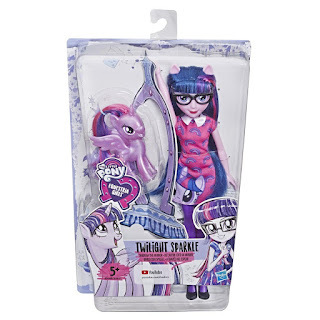 Alongside that they have also revealed the pre-order date for the Twilight Sparkle one: Thursday the 14th of February! 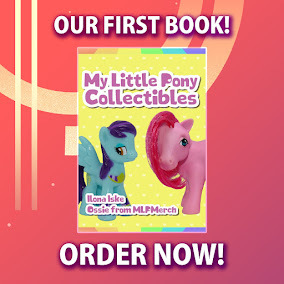 We'll provide listings of the several places to pre-order them when the date arrives. 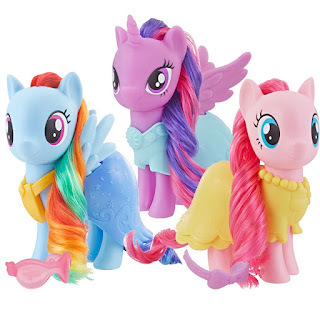 We just received a mail from Hasbro announcing a brand new Pinkie Pie Toy! This is the Oh My Giggles Pinkie Pie. 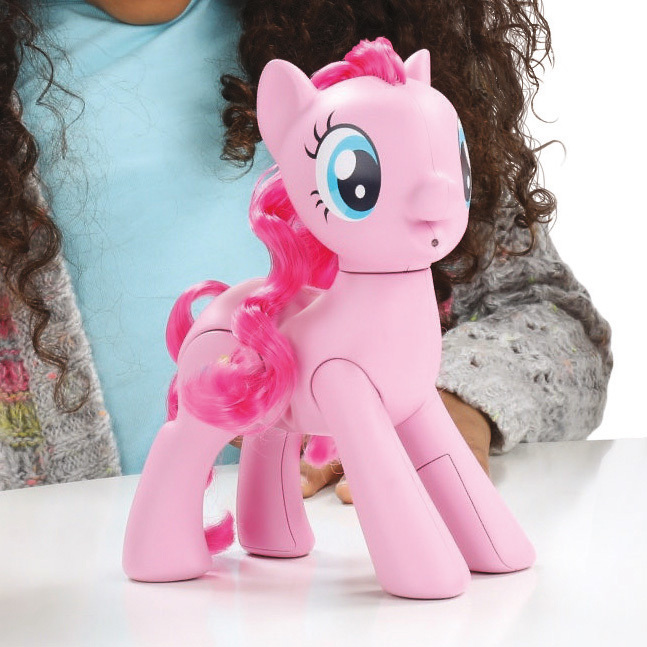 This Pinkie Pie Toy comes with two main features, one feature is that when you tickle her, she will giggle in classic Pinkie Pie-style. But you can also surprise your friend with the use of a light-sensor. When one of your friends or perhaps parents pass by, she will surprise them with a giggle! Good morning everyone! Both of us are kinda busy these days with work and making video games, so that´s why our responses and postings are a bit late than usual. Anyway not long ago we reported that new Cutie Mark Crew Figures had been listed on Taobao. 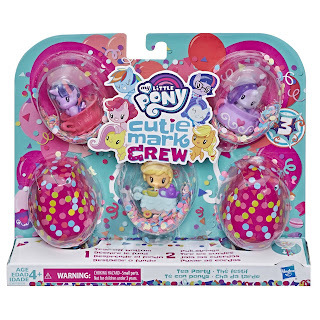 But now Amazon has already listed the 5-packs for the fourth Series! First of: happy new year everyone! Hope you all had some good holidays and we wish you all a great and healthy 2019. Over on Taobao it has been a bit quiet with regards to new My Little Pony releases. 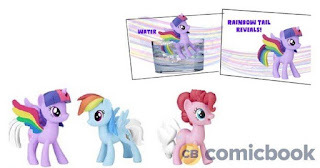 Though, last week a new set of figures was first found on the Chinese online marketplace, as well as images of the set we were still waiting for: the Pinkie Pie Equestria Girls Doll & Pony set. We already wrote about several new sets that were announced on Entertainment Earth and we're happy to write that most of these sets are now accompanied by stock photos! Not on EE, but on detmir.ru, who listed the Equestria Girls and Brushables this week. 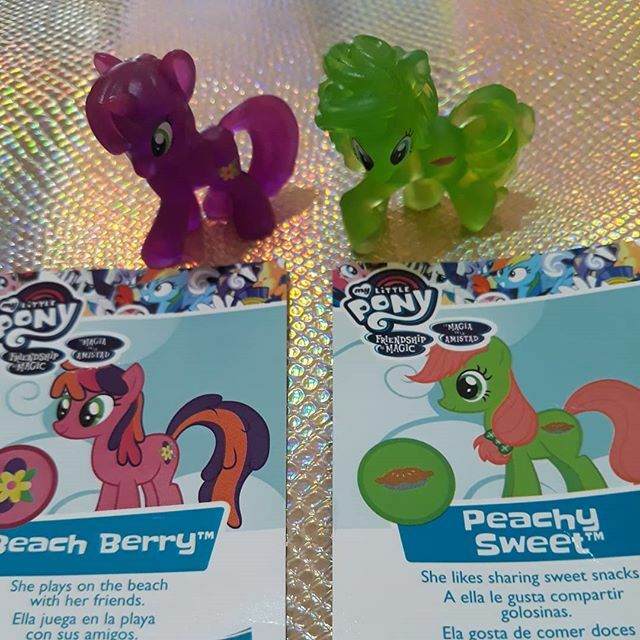 Below we have a combination of the original English descriptions and the new stock photos, showing that most of our expectations match pretty good. 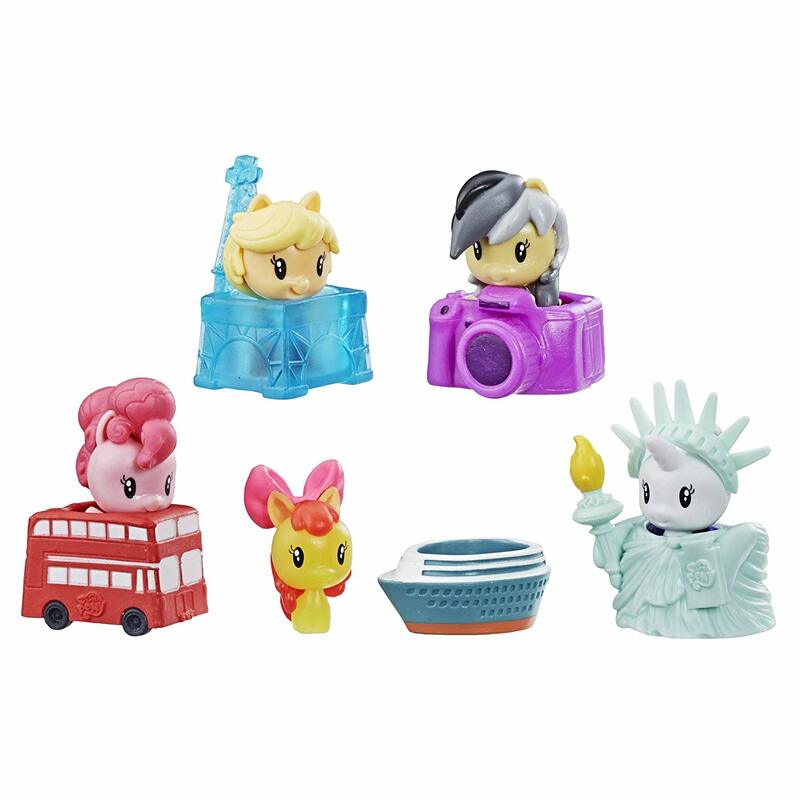 Sadly we're still missing the photos of the Pinkie Pie Equestria Girl and pony, so we're still hoping to find these soon. We also added them to our Brushables, Equestria Girls Reboot and Equestria Girls Fashion Squad databases, so you can now start to add them to your wishlist for 2019! For easy access we linked each database page with the listings below. Thanks to Tomo for the info!